This coating sets itself apart from others we have featured, as it can be applied on a wider range of surfaces, and the power production can actually be tuned to the specific needs of the building. Many large commercial buildings have limited rooftop space and can’t accommodate a large solar panel array. 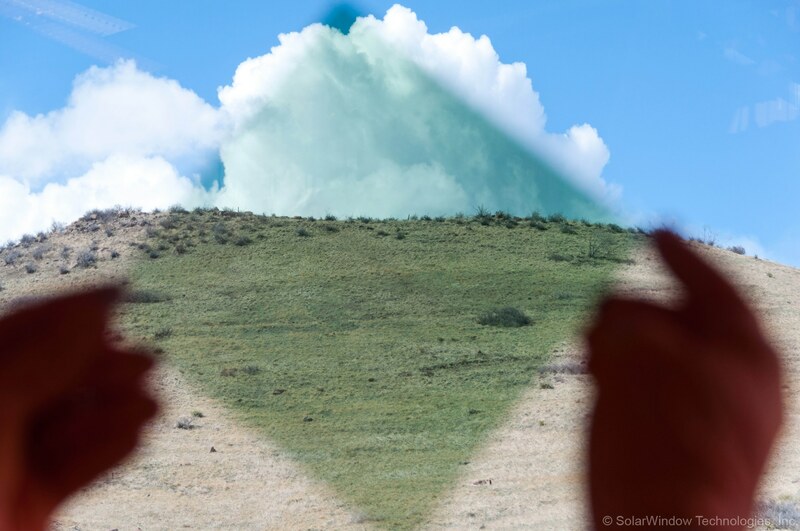 With the SolarWindow™ system, the entire vertical surface of the building, on all four sides, is able to be used to generate electricity and help buildings achieve net zero energy. “The benefit of SolarWindow™ installed on the vast acres of glass on tall towers and skyscrapers around the world could offset equivalent carbon dioxide, helping to manage global warming and contribute to reducing air emission pollutants that are harmful to human health,” says Conklin. The coating is made of organic materials and comes in a variety of architecturally appealing colors, including clear. The film is light weight and is easily applied using screen printing, ink-jet printing, or spraying, which makes it attractive to manufacturers wanting to include the coating on their window products. 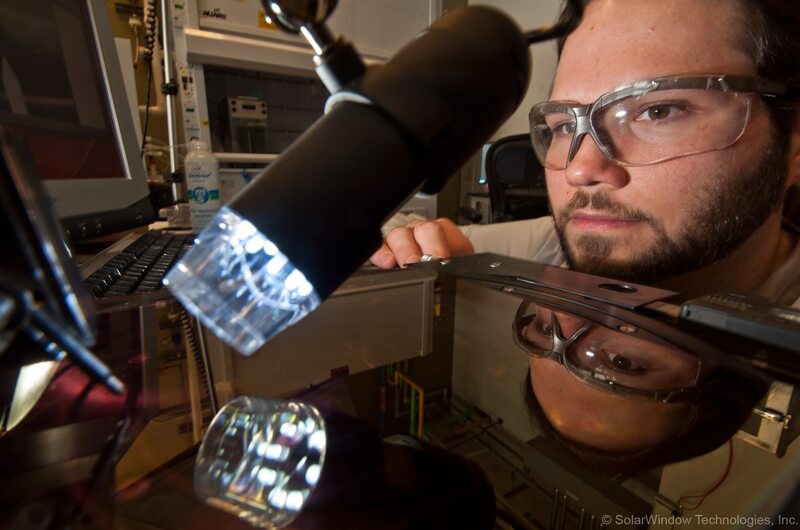 With electricity use in commercial buildings only increasing, glass with solar-power-generating capabilities can help lower energy demand and save building owners massive quantities of money. 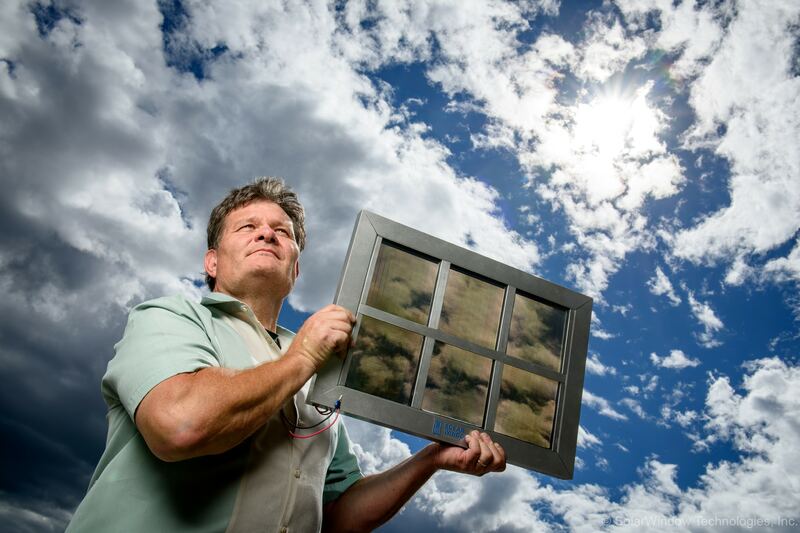 SolarWindow™ technology can be used with new construction projects, as well as remodels and retrofits.